A non-profit organisation, the Graie – group of research, technical coordination and water information has been mobilising and bringing together stakeholders in the fields of water management, aquatic environments and urban planning for more than 30 years. Created in 1985, the Graie now has more than 300 members: public and private professionals, local authorities, firms and research laboratories. Produce and propagate scientific and technical knowledge, highlight case studies and convey collective messages to public authorities. The Graie thus contributes to knowledge appropriation and the evolution of practices & water regulations. This theme has been one of the Graie’s main activities since its creation. 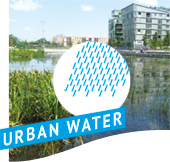 The Graie’s action aims at promoting alternative solutions for stormwater management, better understanding the impact of urban effluents on aquatic environments and assisting with knowledge transfer in the field of water and urban drainage. 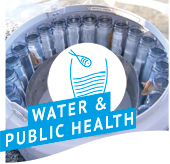 The characterisation and control of micropollutants in water is an important emerging issue from both a scientific and public policy point of view. 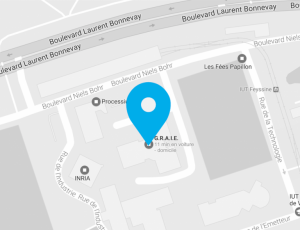 Since 2010, the Graie has coordinated the SIPIBEL observatory – Bellecombe’s pilot site – on the characterisation of hospital and urban effluents, their impact on aquatic environments and levers of action. 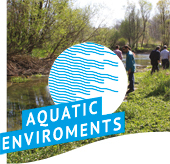 The integrated management of water and aquatic environments is the second founding theme of the Graie; it requires inter- and multidisciplinary approaches involving various stakeholders. Since 1985, the Graie has been mobilising a network of experts for the production of an integrated management methodology. It also coordinated a reflection on work to be carried out after flooding, which resulted in an awareness brochure. Beyond all the above themes, the Graie helps local authorities implement regulations in the field of urban sewerage and drainage on a regional scale. 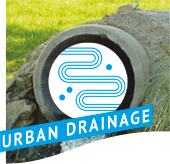 It hosts 4 working groups on urban drainage: treatment plants, self-monitoring of sewer networks and systems, non-domestic effluent discharges and on-site sanitation. It also coordinates a SPANC (public services for on-site sanitation) regional observatory, and is putting in place an observatory on practices for sewer self-monitoring. In 2018, the Graie will coordinate a regional charter for quality on-site sanitation. The permanent team of Graie is composed of 11 members of staff including 6 project managers, with both technical and scientific skills.